Here comes another video, this time with Apache AH-64 helicopter or two in it.We went to add a helicopter after the support for them has been recently added to JSBSim library. There still seem to be some bugs and our parameters for the model aren't entirely right either, so the behavior might not be absolutely correct. 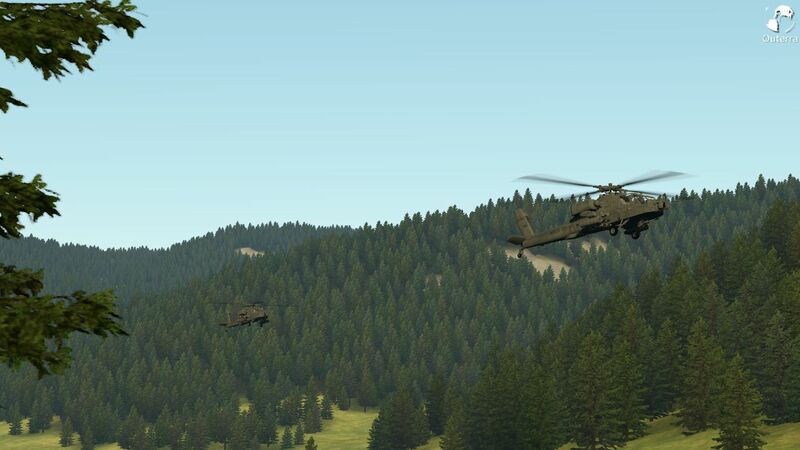 Still, flying the helicopter is a great fun. I wasn't able to fly helicopter in a simulator before, probably just because I never tried hard enough. But flying it here - over the forests and through the canyons and close to the rocky walls - that gives it a completely different feeling and experience, so even the types of me can get easily lost in time while wandering over the unknown lands here. In case you are wondering, the camera comes out from the Hydra rocket launcher at the beginning of the video, made possible thanks to the use of logarithmic depth buffer. In order to make this video we added support for "translucent" shadows so that the shadows from rotor blades look more natural, the hard shadows were quite disturbing. Since the last blog update a number of things has been worked on - an updated atmospheric rendering code resulting in nicer and faster atmosphere rendering, while being also more consistent in various settings. There should be a separate and more technically oriented post about that for people who are fighting with atmospheric scattering which is quite hard to get right. And of course I need to write something about it so I can find how it works later when it drops off of my brain completely again. As a part of the atmospheric code also the ambient light has been tweaked so the shaded and shadowed terrain is now looking better; this shows best on the features of rocks - previously it didn't have the right amount of contrast and looked quite bland. 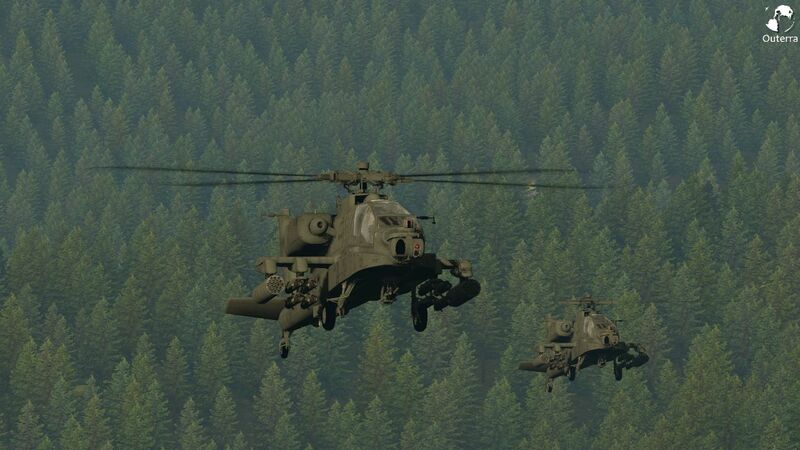 Forum topic - Apache helicopter. My jaw dropped, I'm waiting for something like this, since 1997. The rotor looks great, best one I've seen so far, especially the shadows it cast, though, the rotor would need some ... variable "thickness" and visible coning effect. You could add a Hind to go with the Tatra :). Apache is fine though. 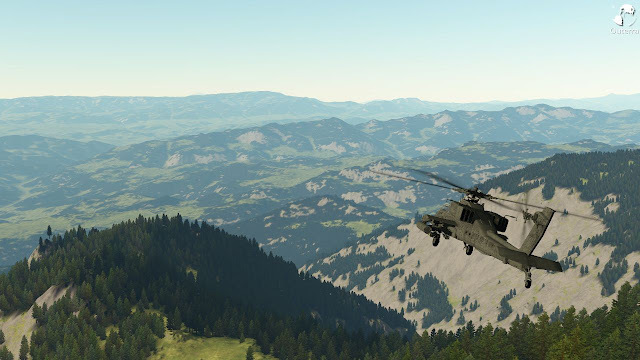 I was amazed when I saw the video, combination of your terrain and JSBSim does wonders. I would not be afraid to use any of the screens you posted as my desktop and tell people it's a photo. Oh, guys... I envy you. 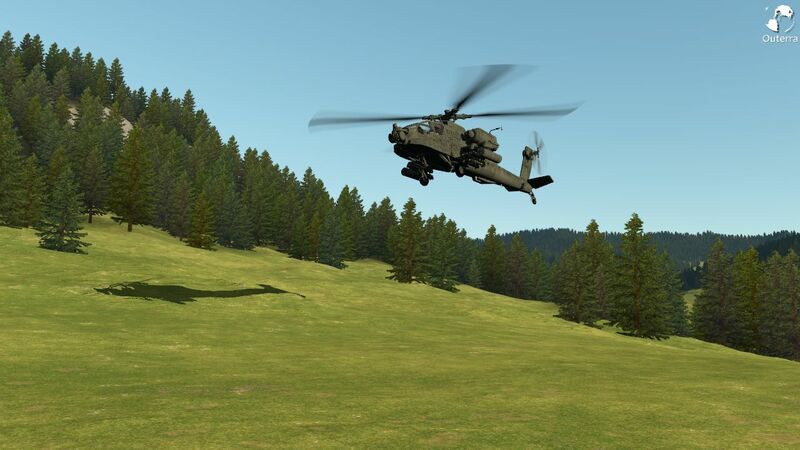 As Brano mentioned, the JSBSim helicopter capability is very new. We are expecting an update from the model contributor in the near future. So, it will be an ongoin effort. Nevertheless, the video posted here is impressive. I haven't even tried the helicopter model myself, yet. 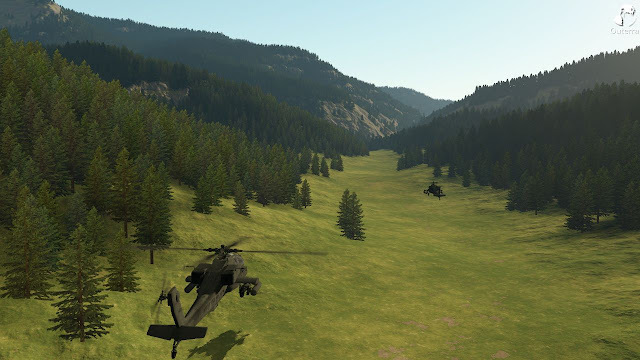 There will be destructible terrain and trees, destructibility of buildings/objects will depend on the games themselves. ps: what fov ru guys using? I think 37.5 vertical, that should be 66.6 horizontal. Congratulations guys, this work is awesome. Is it possible to buy a license of your work ? for an example to develop a software using your technology ? Not yet, it's still in development, but it will be possible.